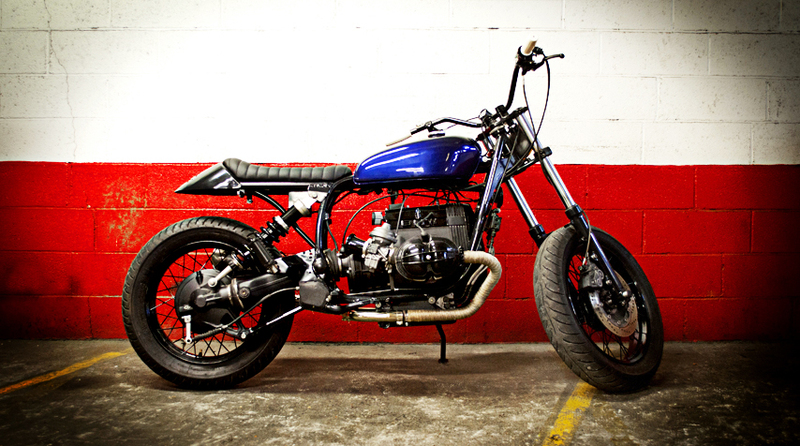 The donor machine is a 1993 BMW R100R. 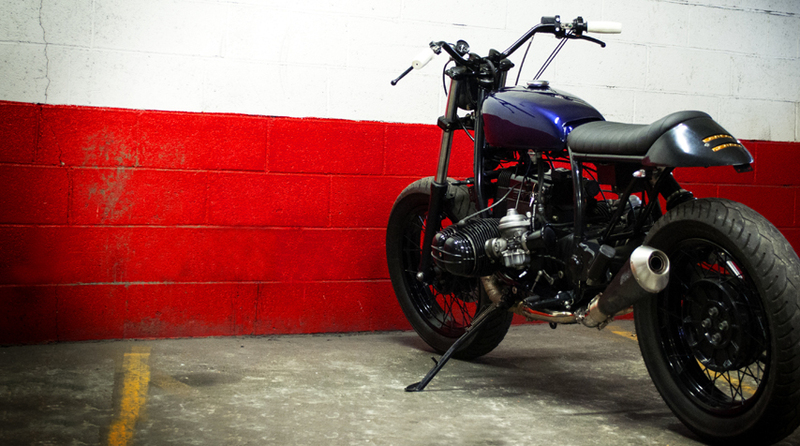 Fully restored, we turned in into a sweet street tracker on behalf of its German owner. We also decided to go for a paint job on the tank and picked up the official blue used by Rolls Royce for some of their beautiful cars (among which the world famous Phantom). - bespoke seat designed to match the newly welded rear loop. - Blitz Motorcycles mini switches connected to the fully rebuilt electric wiring. - all engine covers + wheels powder + fork legs powder coated in shiny black. - Bespoke aloy air filters fitted on the rejetted carbs. Bespoke bracket to hold the headlight + dashboard lights (neutral and oil pressure). - Vintage rally car headlight Marchal with a genuine yellow glass. - vintage Honda tank painted in the same blue color as the one used by Rolls Royce, back in the days.